Well met on Audiko.net! 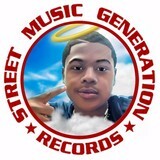 Use an opportunity to download a free SMG RECORDS ringtones for your iPhone or mobile. Cut your favorite episodes from your favorite composition - DEEDO - NATE - SMG RECORDS 2016, JA'QUIL - I GOT IT - SMG RECORDS 2016, JAQUIL FT LiL NAZ - BY CHANCE - SMG RECORDS 2016, or any other track. You are free to receive your track piece both in the MP3 and m4a formats, compatible with both mobile phones and iPhones. Just select a track, and choose free SMG RECORDS ringtones download option.